Moto Guzzi V7 Racer 2012 | IAMABIKER - Everything Motorcycle! 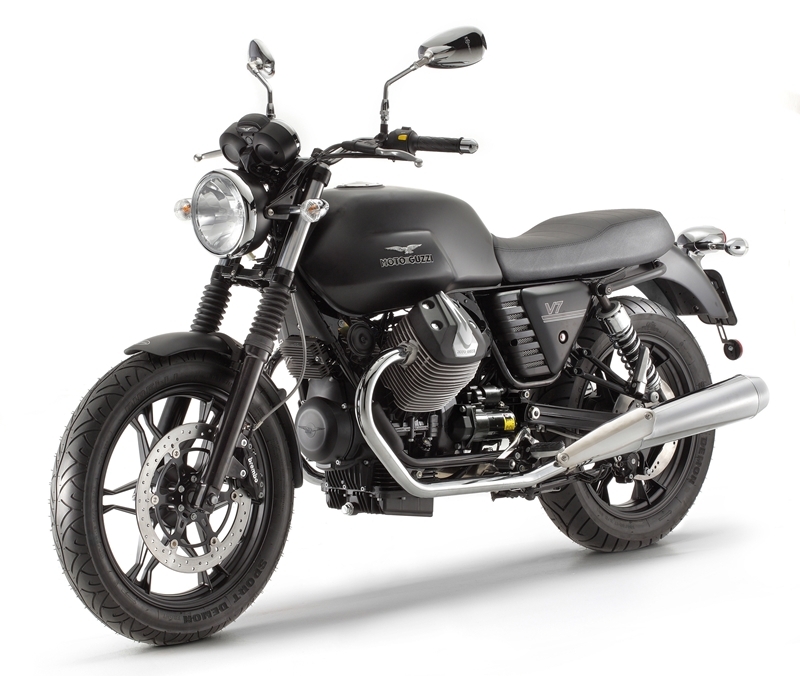 Moto Guzzi have provided a mild makeover for the V7 for 2012, which is available in standard, Special and Racer versions. 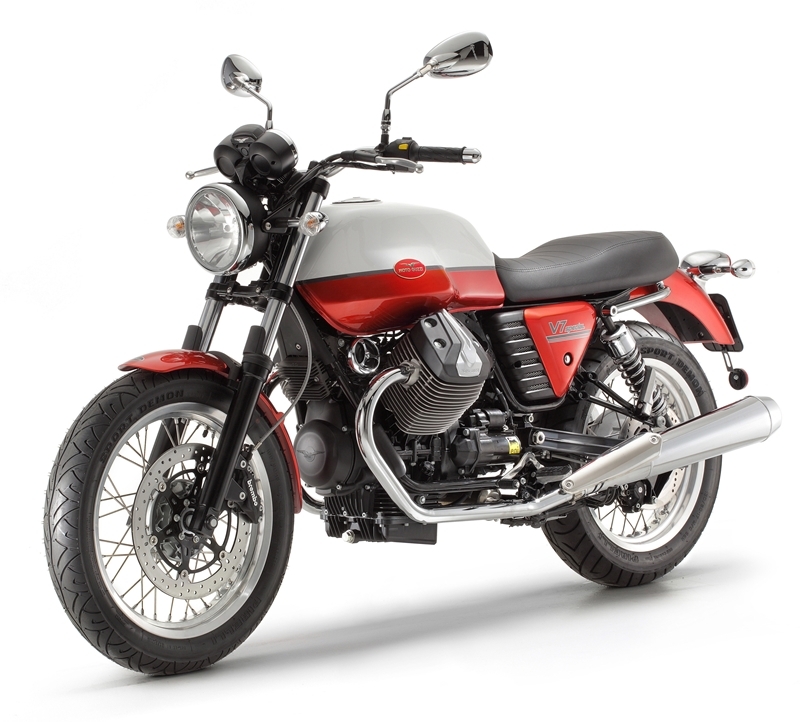 Guzzi claim the V7’s 745cc V-twin engine has been extensively updated, with more than 70% of its internal components being all-new, and twin intake manifolds and throttle bodies being replaced with a single Y manifold and single 38mm Magneti Marelli throttle body. This, according to the company, helps improve fuel economy and reduces CO2 emissions. In addition to the revised engine, the V7 also gets a redesigned fuel tank, which is lighter than the earlier unit and is now made of metal rather than polyethylene. The double cradle steel tube chassis remains unchanged and the bike is fitted with 40mm Marzocchi fork and Sachs rear shocks. The V7 Racer gets Bitubo WMT gas shock absorbers and is the coolest of the bunch. Braking duties are handled by a single 320mm disc at the front and 260mm disc at the back, and the V7 rides on lightweight alloy wheels shod with Pirelli Sport Demon tyres. With 51 horsepower and 58Nm of torque, the Moto Guzzi V7 isn’t exactly a high-performance motorcycle, but as sheer Italian cafÃ© racer cool, the V7 Racer would definitely be hard to beat.